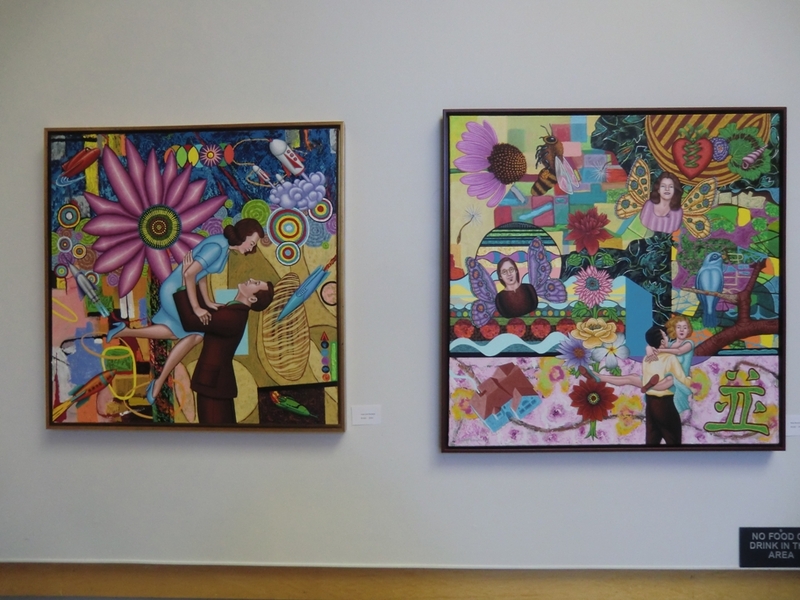 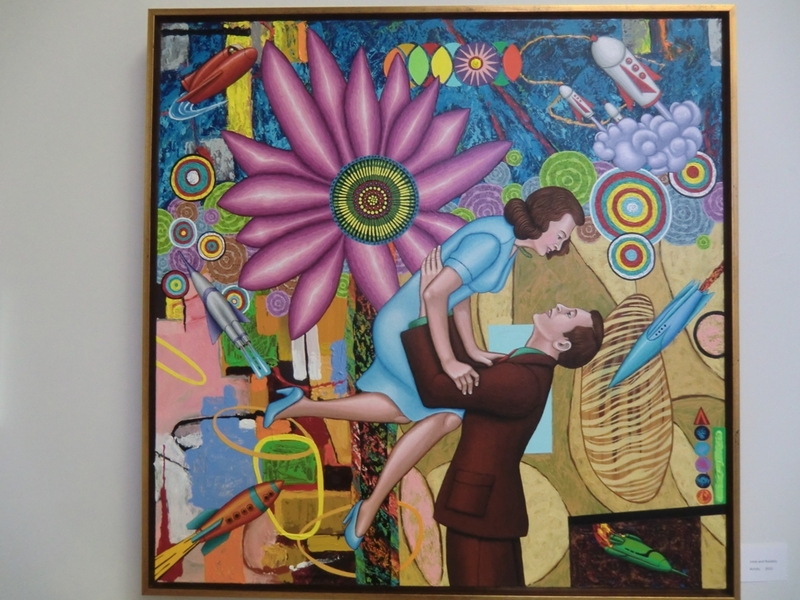 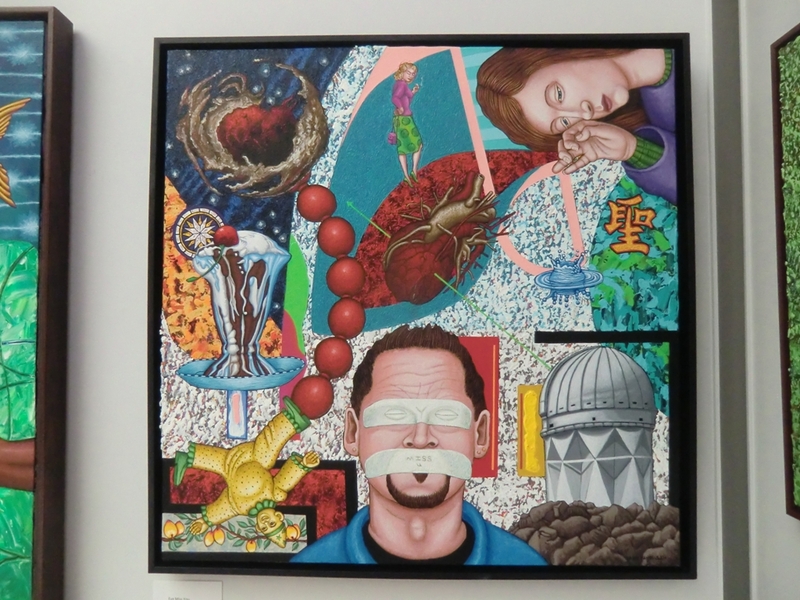 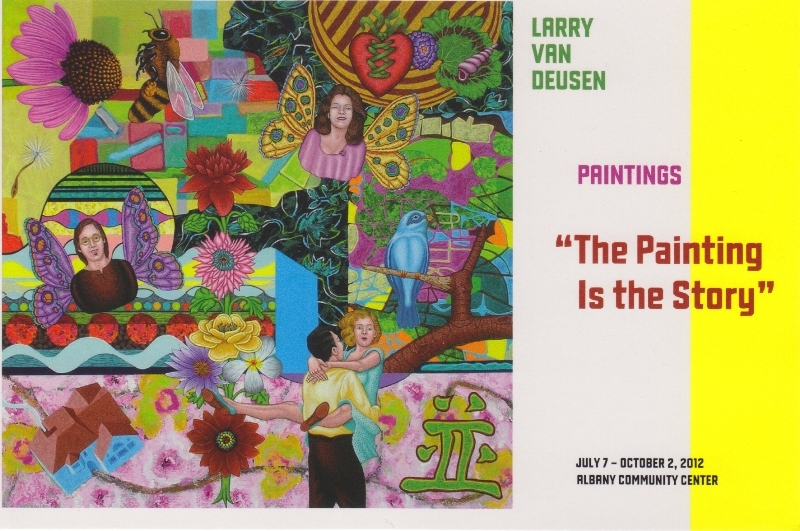 Albany Arts Committee hosts reception for Larry Van Deusen on July 8 from 4-6 pm in the Community Center Foyer. 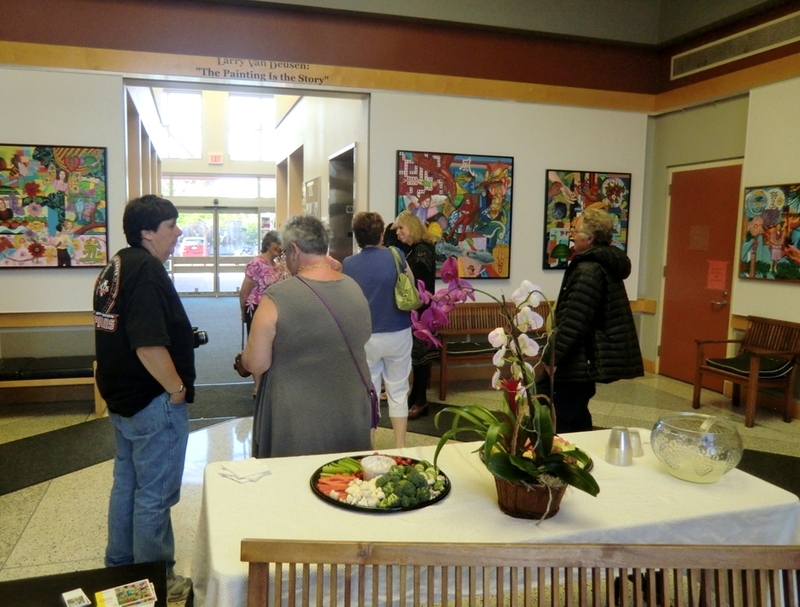 Visitors to Albany Library and Community Center will pass by the wonderful art of one of our own library staff members: Larry Van Deusen. 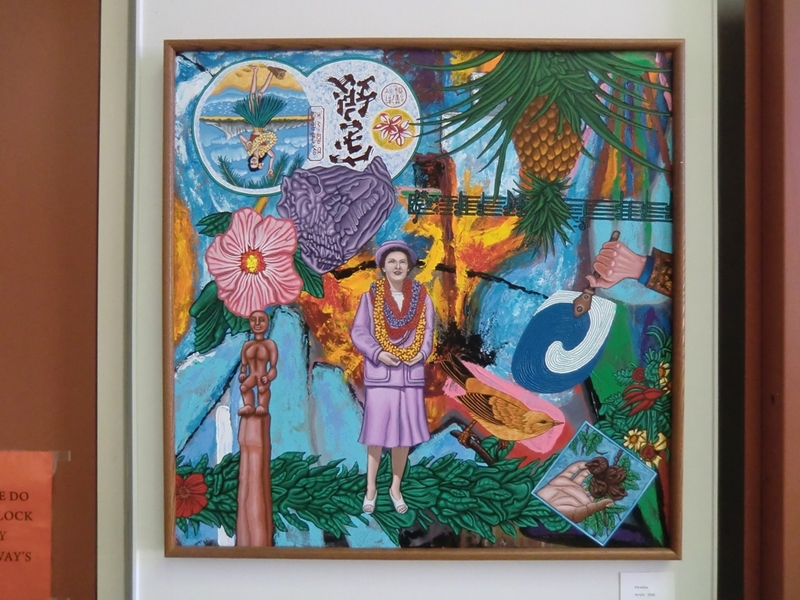 His works will be on display for three months in the foyer gallery at 1249 Marin Avenue. 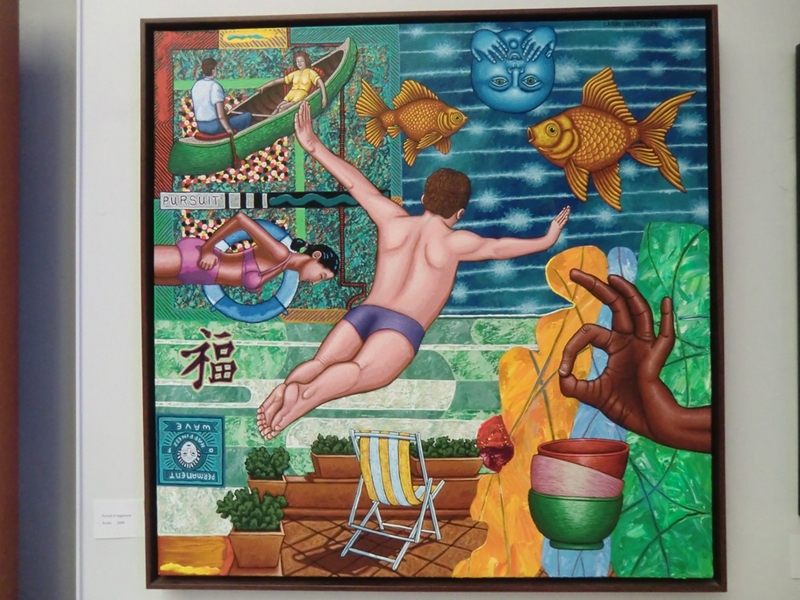 Larry’s collages are vibrant and packed with imagery, reminding one of a graphic novel without a story line. 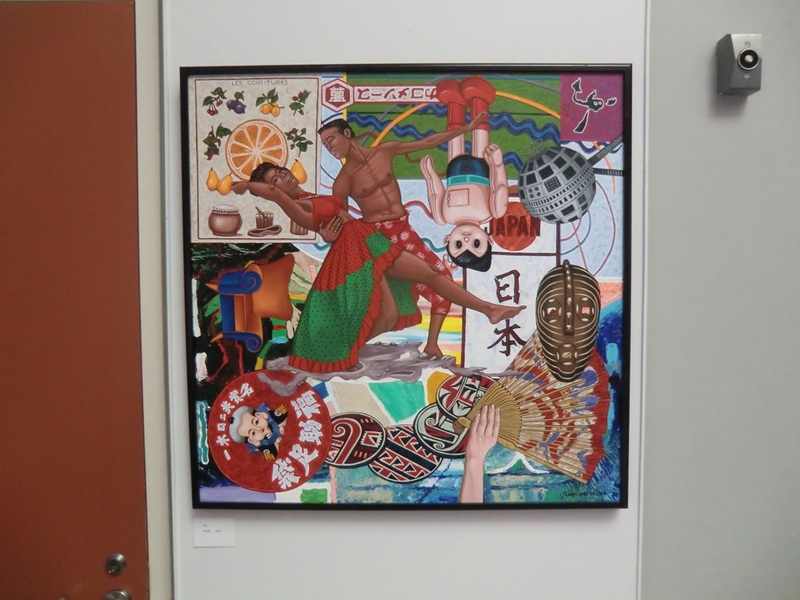 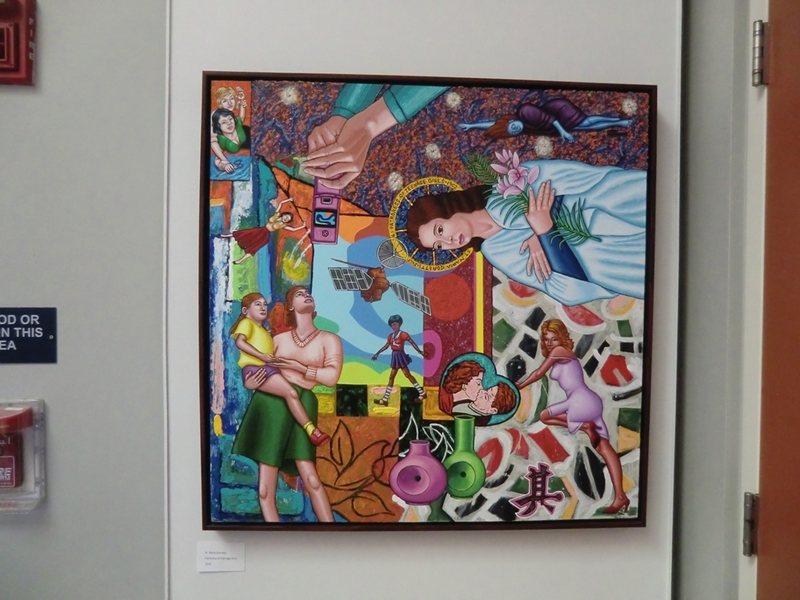 Of course, as the card above states, “the painting is the story!” A large permanent installation called The Global Village has been on display in the Centerville Library in Fremont for several years where it brings joy to all who look up from the books. 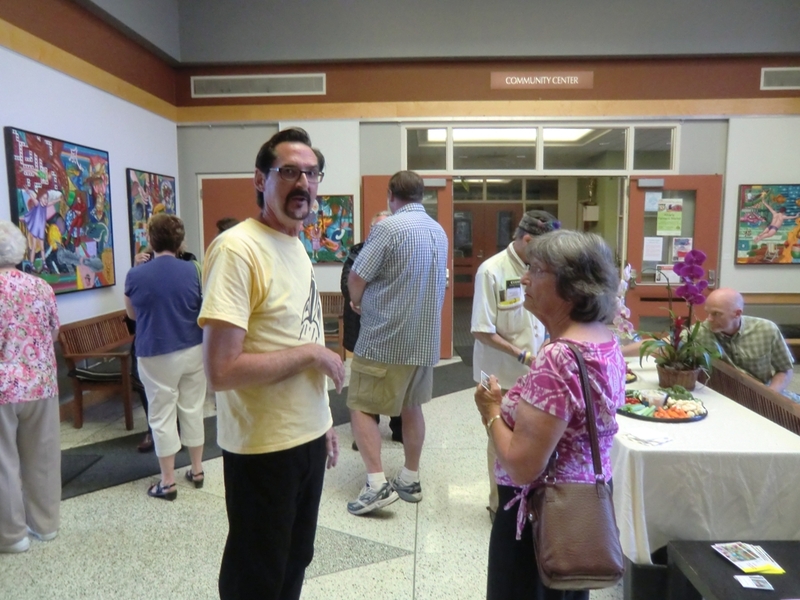 The Albany Arts Committee will be hosting an opening for the show this Sunday, July 8 from 4 to 6 pm. 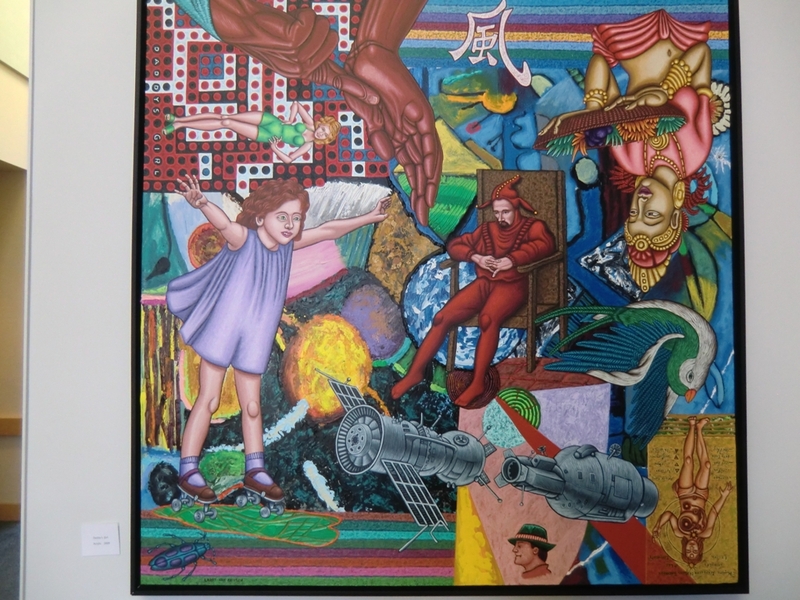 Come meet the artist and celebrate his work. 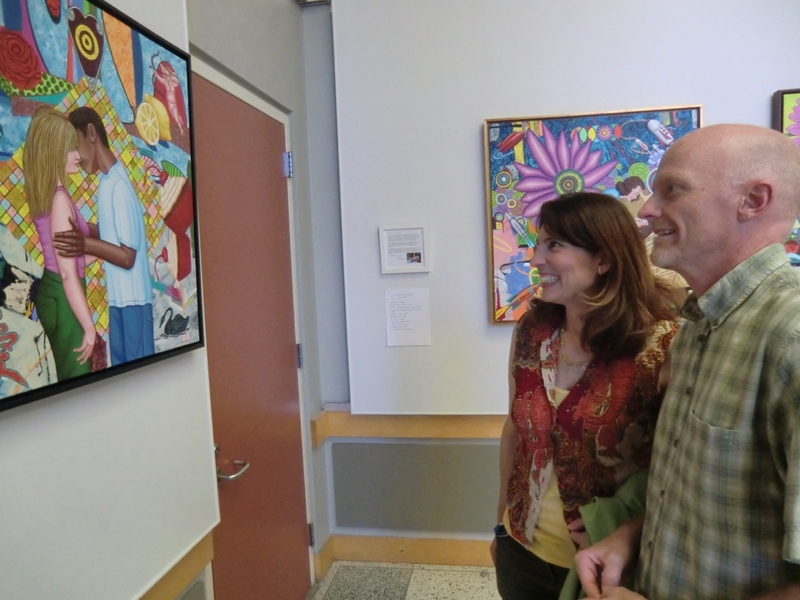 One other aspect of his life may not be apparent to gallery visitors, but we appreciate it immensely. 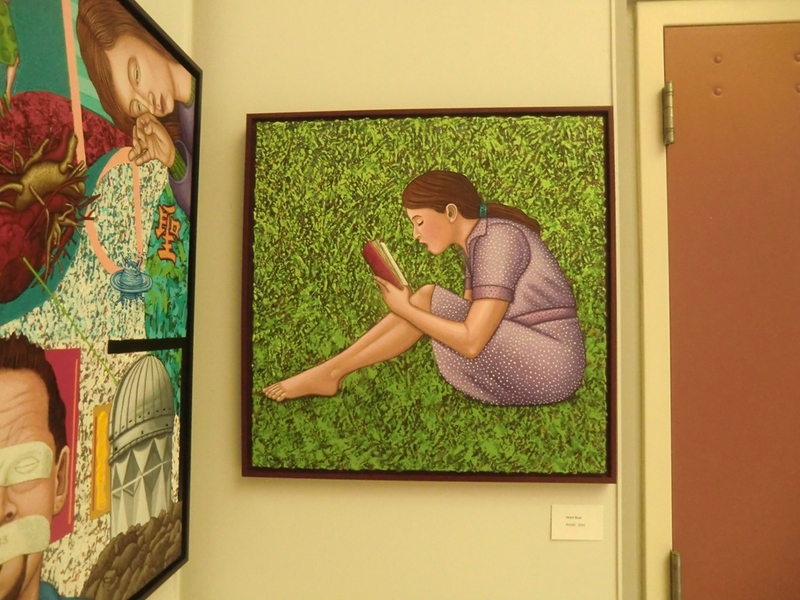 At the County Library, Larry is part of a team which brings all those bins of books for “the holds shelf”–gathered from far and wide for readers here in Albany. 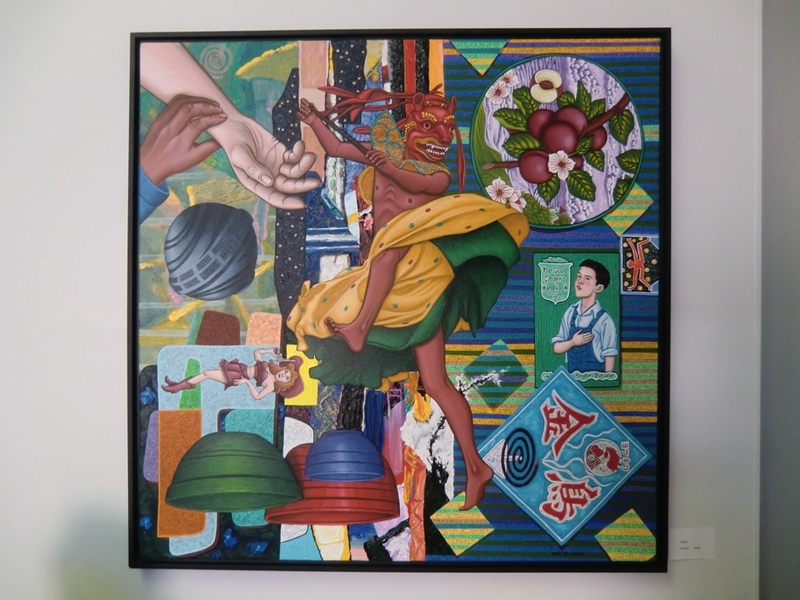 Just like the painting, his labor is the story!